Grand Union Canal (Leicester Section). 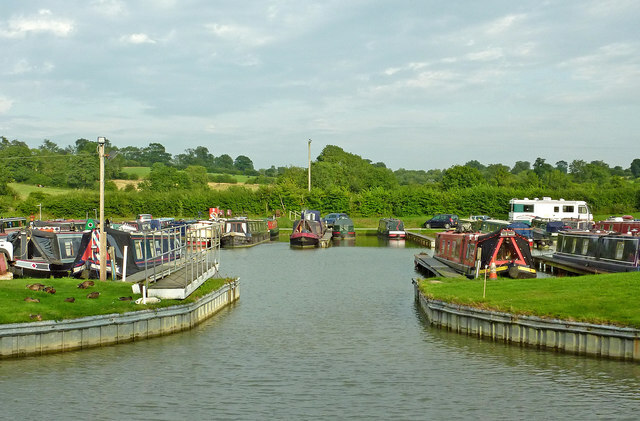 Crick Marina occupies two extensive basins (three entrances) north of Crick Wharf Bridge (No 12). Moorings are now available for about 270 boats. A very popular boat show takes place each year here. Strangely, despite the marina having been opened in three stages in 1996, 2000, and 2007, the map on this photo page in 2018 does not show their existence. Click the map to see the larger (more up-to-date) scale.